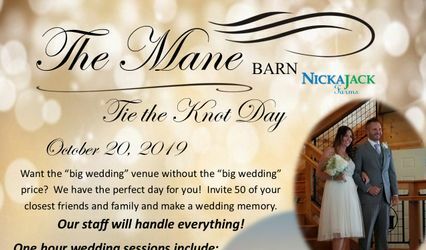 The Mane Barn at Nickajack Farms is a barn open for weddings in the Cleveland, Ohio area. 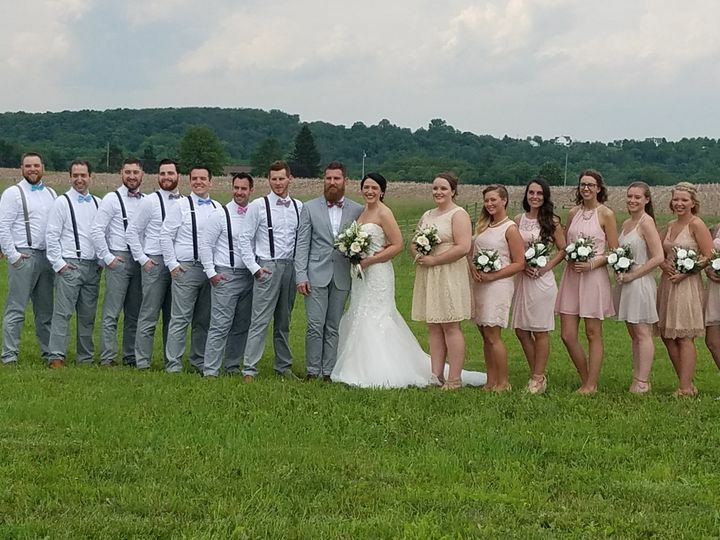 This country venue is modernly rustic with a picturesque outdoor space where couples can exchange their vows before heading inside for the reception. This venue sits 20 minutes from Portage Lakes State Park and 50 minutes from downtown Cleveland. 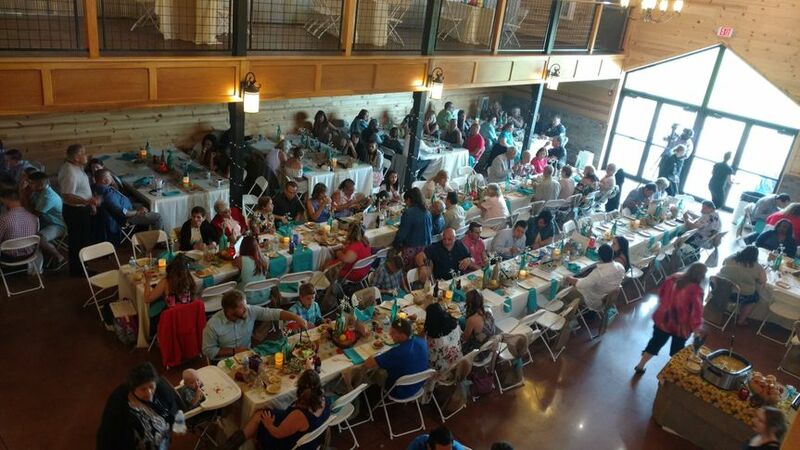 Couples can have as many as 1,000 wedding guests (outdoor site) at The Mane Barn at Nickajack Farms. 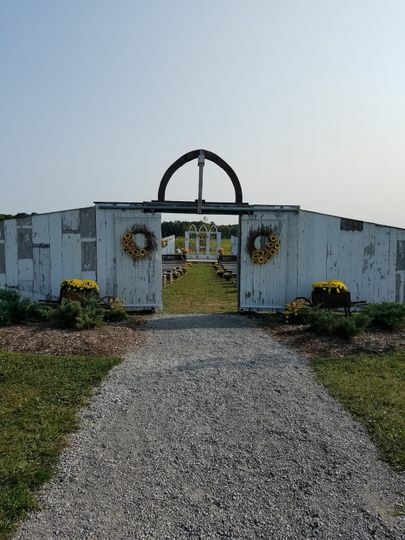 Ceremonies take place out in a beautifully open field at the end of a gravel-laden path. 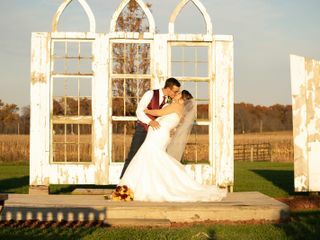 Guests enjoy wooden bench seating as couples wed in front of vintage weathered windows standing in the grass. 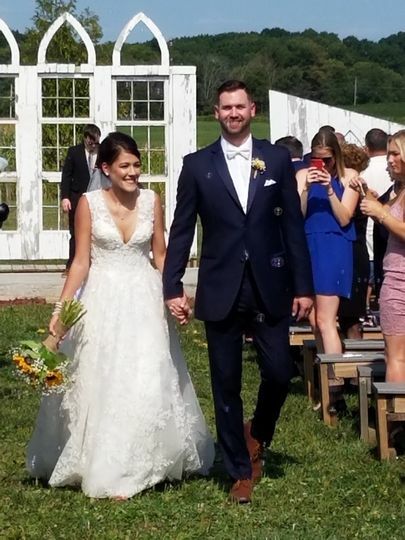 The reception that follows takes place inside the barn, which was recently renovated from its farm days as a functional horse barn. Polished wood and wrought-iron gleam in the two-story space. Large windows let in plenty of natural light before the sun goes down. The Mane Barn at Nickajack Farms includes a kitchenette that serves as a bar, snack table or serving area. 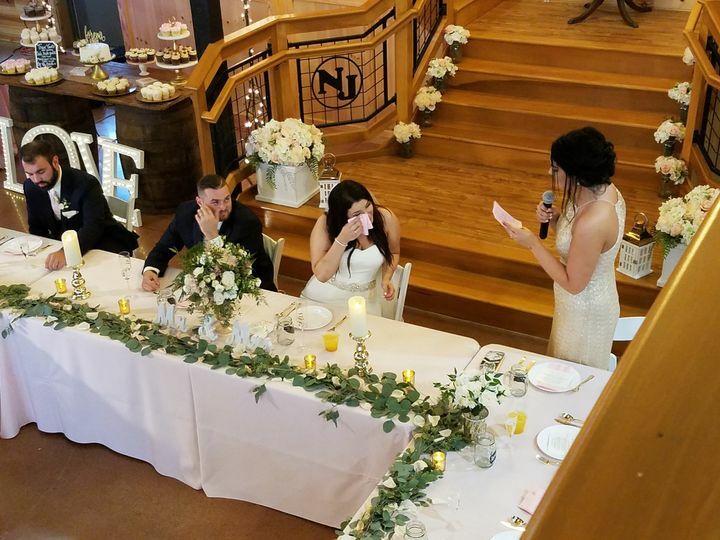 The venue is open to host bridal showers and engagement parties, in addition to ceremonies and receptions. Joe and Debbie Sebolt bought the 120-acre farm in 2002 and opened Nickajack Farms. The farm offers horseback riding lessons when its not busy with weddings and field trips. The Sebolt’s grow grass hay, pumpkins and corn on their ranch property. The area is BEAUTIFUL absolutely everything we were looking for. The ladies there are so nice and so easy to work with. They answered all of our questions and were VERY professional and friendly. We can’t wait to get married there! 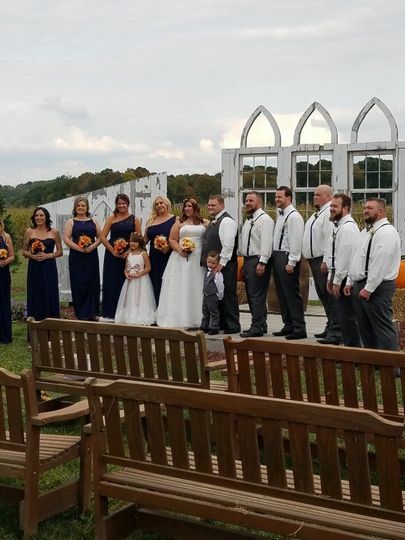 We loved our venue so much! 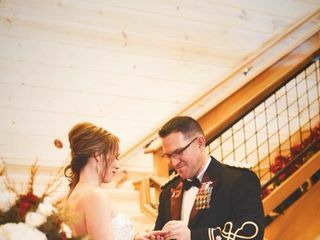 They went above and beyond for us on our big day! 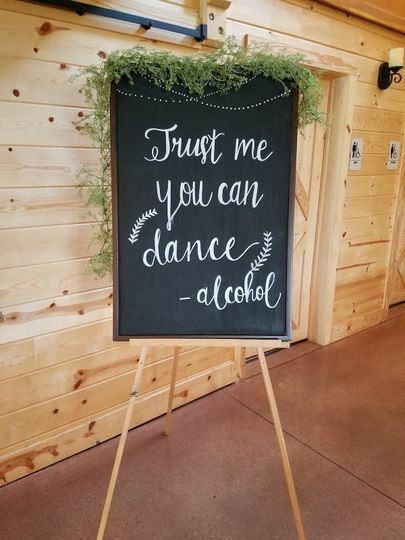 We highly recommend this location! 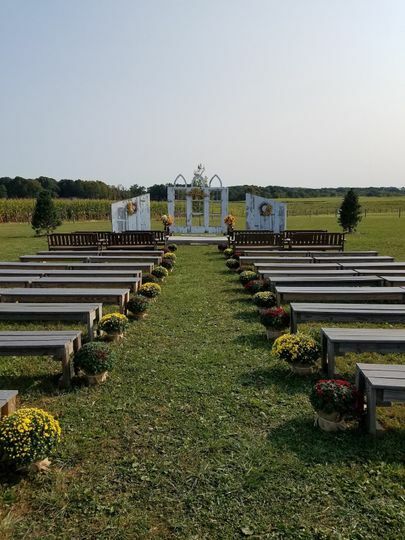 Nickajack Farms is a beautiful location with an outdoor chapel that allows you to have your wedding all in the same stunning location. They were very informative at our meetings and very friendly! One hour wedding celebration includes: Ceremony, First Dance, Cake Cutting & Time for Photos. 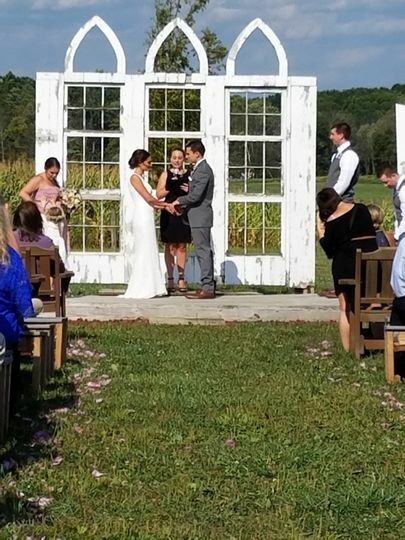 Ceremony performed by The Ohio Wedding Lady, Rev. Catherine Daniels.